MAKOplasty® is the latest innovation in surgical treatment for total hip or partial knee replacement. The system uses 3-D mapping and robotic technology to conduct procedures that are more precise and less invasive than ever before. 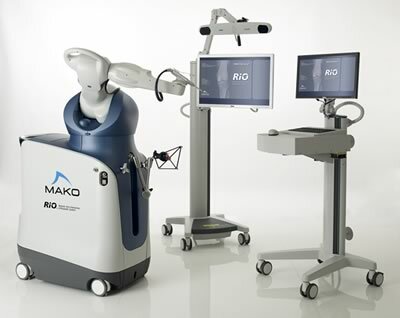 OrthoConnecticut is pleased to make this important robot assisted surgical breakthrough available to our patients. Two of our renowned joint specialists – Dr. Robert Deveney and Dr. John Dunleavy – are skilled in this state-of-the-art surgery. Dr. Deveney was the first orthopedic surgeon in Connecticut to perform a MAKOplasty procedure. If you are suffering with the debilitating pain of degenerative joint disease of the knee or hip, you may be a candidate for MAKOplasty. We’re pleased to offer MAKOplasty as the latest advance in restoring patient mobility and active lifestyle. 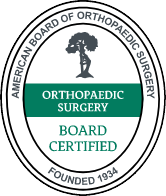 Consult your OrthoConnecticut specialist to see if you are a candidate for this type of surgery. By selectively targeting the damaged part of your knee, your OrthoConnecticut surgeon can resurface the joint while sparing the surrounding healthy bone and ligaments. Unlike more invasive procedures MAKOplasty can often be performed through an incision of just four to six inches. Because MAKOplasty helps preserve healthy bone and tissue, and because it helps position the implant with exceptional precision, patients may ultimately experience a more natural feeling knee. Patients in need of hip replacement may be a candidate for MAKOplasty® Total Hip Arthroplasty. The innovative robotic technology provides a patient-specific 3-D model to assist your surgeon in pre-operative planning. 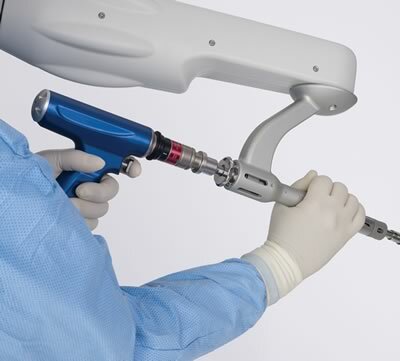 During the procedure, real-time feedback (tactile, visual and auditory) assists your surgeon in preparing the hip joint and placing the implants in the desired orientation with unprecedented accuracy. When MAKOplasty is appropriate, it can help your surgeon achieve optimal precision for faster recovery and more reliable outcomes.